Something is going on in my tank. 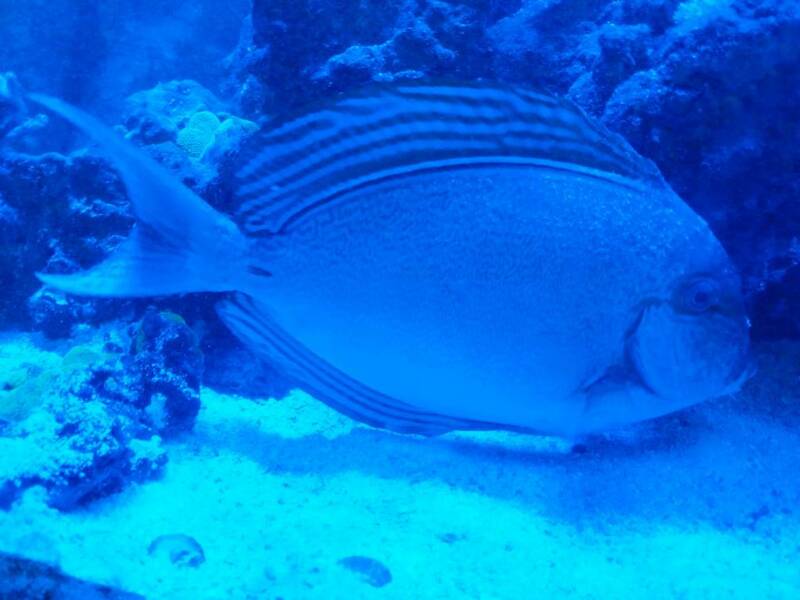 My hippo Tang died today and my Palani tang isn't doing so well either. I think they have ick but I'm worried about dosing them because of all the coral. There is a good article on ich on the landing page for this forum. Hard to say from the photo but it does look it could be that based on the spots on his head. Do you have the ability to set up a quarantine tank? I will try to help, please answer these questions if possible. Do you have any better pictures of what they have? How long have you had these fish? Have you added any fish recently to your tank, and how long ago? How fast did the hippo die after you noticed symptoms? Do they have some raised white pimple like bumps on their skin, or does it look more like they are "salted" all over? This part is only important for how much time you have to work with to help save them (ich vs velvet) . You are not going to like this part but it's the truth, there is absolutely 0% chance of treating your fish and curing them in a dt, and I do mean 0. There is absolutely no treatment that is reef safe for either disease I have mentioned, NONE. You have to remove ALL of your fish from your display and treat them all with either copper, chlorinique phosphate, or hyposalinityin a qt tank to cure them of ich or velvet. If we determine it is ich it can be managed in a dt for alot of fish, but sorry to say acanthurus species of tangs usually won't live that long with it. Last edited by Kirblit; 04-10-2018 at 09:41 PM.